Hollywood Fats. His name is pure magic for most blues fans of my generation. Born Michael Mann in 1954, he was part of the re-emerging interest in the blues in the late '70s. It was his expressive guitar tone, his way of playing that attracted blues fans on both sides of the Atlantic ocean. Michael was only 12-years-old when his mother had to drive him to the blues clubs in Watts, the black ghetto in Los Angeles. There the young boy was sitting in with Jimmy Witherspoon and other blues legends. Soon he was touring with the bands of J.B. Hutto, Albert King, and Muddy Waters. But he didn't like the life on the road and decided to move back to LA. Along with Al Blake, originally from Oklahoma, he founded the Hollywood Fats Band. Fred Kaplan, the Lloyd Glenn inspired piano player, joined, and along with one of the best rhythm sections in the world, Larry Taylor and Richard Innes, their band sound was tight from the first day on. But it was Fats' guitar tone and sound that really blew people's minds. His tone is very fat, his playing powerful and rhythmically, permanently changing between bass lines, fill-ins and solos. His sound is tube amplified, with a mighty reverb. It was this sound that made other guitar players jealous. Stevie Ray Vaughan, would was lucky enough to see the Hollywood Fats Band play 'live', later said that his jaw dropped. Blues guitar heroes of modern times like Ronnie Earl, Junior Watson or Kirk Fletcher are amongst Fats' biggest fans. 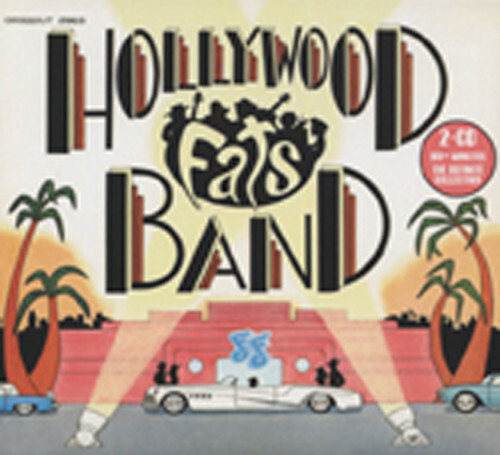 We are proud to announce the release of the definite edition of the Hollywood Fats Band studio recordings from 1979. CD #1 contains the original LP version; CD#2 brings you, along with the additional songs that were on previous re-issues, a bunch of alternate takes and a never before issued song. Also, we have reproduced the 'Hollywood Fats Funnies' comic that was part of the original first vinyl edition. Comes with an 8-sided digipak and rare photos, plus extensive liner notes. A gift for all lovers of Fats' music, and a chance for those that are yet unfamiliar with one of the greatest blues guitar players, ever. HOLLYWOOD FATS - gtr, AL BLAKE - hca/voc, FRED KAPLAN - pno, LARRY TAYLOR - upright & electric bass, RICHARD INNES - drums. Customer evaluation for "Complete 1979 Studio Sessions (2-CD)"